Acts of terror and violence are everywhere these days it seems. Turn on any news channel and you will be flooded with reports of bombings, murders, killing of innocents and many other examples of ills that the human race can offer. At times, we can become detached through over exposure; it goes from shock to the norm—unless we have a link to the latest offering of inhumanity, then it takes us back to the moment of shock. The world of football was thrown into shock, but maybe not surprise, Tuesday evening when reports surfaced that the Borussia Dortmund team coach had been involved in some sort of incident on their way to Signal Iduna Park. What initially looked like superficial damage turned out to be far from superficial at all. At 18:40 local time Dortmund gave notice that something had happened to their coach en-route to the stadium, and 21 minutes later they confirmed everyone’s worst fears—a bomb had exploded. The information was sketchy as security forces tried to get a handle on what exactly was happening but a decision came through quite quickly that the game would be postponed and would be delayed 19 hours. What we saw in these initial minutes was an unusual, beautiful, situation develop in which Borussia Dortmund fans opened their homes to AS Monaco fans. Harnessing the power of social media #bedforawayfans ensured that no Monaco fan spent the night alone or stranded. Sport’s driving ethos, teamwork, ensured that whatever was happening, fans would face it together. As the night drew on, information clarified that Borussia Dortmund had been the subject of a genuine terror attack. Three ‘sophisticated’ roadside bombs had been detonated, with a fourth failing to go off, just after the team coach left the hotel. Marc Bartra, Die Schwarzgelben’s centre back, required surgery for a broken arm and embedded objects in his wrist. Whoever was behind the attack had a real motive to kill. It was a miracle that there were no fatalities. Dortmund players exceptionally lucky. Explosives packed with metal pins and at least one pin was found in headrest of a seat on the bus. As dawn broke across the Nordrhein-Westfalen area, everyone felt a real sense of the magnitude of the previous evening’s incident. However, all necessary moves were made to make sure the game would go ahead. If the players were ready, then we fans, observes and football lovers, were ready. Unfortunately, by the time the Champions League quarterfinal first leg had finished, it was evident that this was not the case. On the field, a disjointed looking Dortmund seemed somewhere very far away. They were lacking their exciting rhythm; their concentration was not there and their body language screamed that this was a group of individuals in shock—still trying to come to terms with what they had been involved in less than 24 hours earlier. It was no surprise then to see them fall behind by two goals—one through a clear offside and one through an own goal that does not happen when you are thinking straight. AS Monaco were free to turn on the type of display that had gotten them to this very point of the competition. Thomas Tuchel made two key changes at half time. Off went Sven Bender, replaced by Nuri Sahin. Bender had scored the own goal, a critical error—but then we must remember that news reports detailed that he was the one who shouted at the coach driver to “drive quickly, do not stop, drive drive” as the bombs exploded. How much did his quick thinking and actions avoid an even more disastrous situation? Also, off went Marcel Schmelzer, replaced by the exciting American teenager Christian Pulisic. Schmelzer’s departure at halftime was later explained by Sahin in a post-match interview. The second 45 minutes revealed a change in Dortmund’s play, they had taken an entire half to settle, to focus, and when they did, they matched Monaco toe to toe. Eventually the game ended 2:3 to Monaco. A blistering finish by Kylian Mbappe, his second of the night, gave the French side a crucial edge. Dortmund will travel to Monaco, still in contention, thanks to goals from Ousmane Dembélé and Shinji Kagawa. For all the turmoil the players had suffered, a valiant second half display ensured there is still life in this tie for the Yellow and Blacks. It is where this story goes after the final whistle is what many are unable to fathom out. 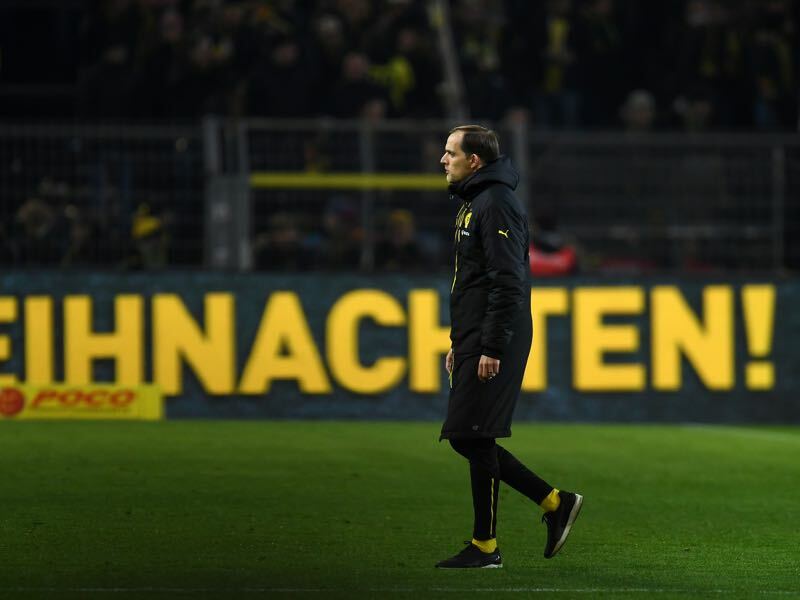 Dortmund manger, Thomas Tuchel, described in his post-match interview that only minutes after the bombs had gone off the day before, UEFA officials were asking, “Can the team play tonight?” When the answer was no, they received a text message from Nyon in Switzerland, UEFA’s headquarters, soon after that they WOULD play tomorrow at 18:45. Tuchel was not shy in coming forward. The young coach is renowned for his moral courage, and this event was to prove no different. He would have his say—eloquently but firmly he told his side of the story. “We were never asked; we were informed by a text message that the UEFA made a decision in Switzerland. It felt lousy. And that sticks with us. Minutes after the attacks, the only question was whether the game could go through or not. We were treated as if a beer can was thrown at the bus. It gives you a feeling of impotence. Without consultation and without a real credible presence on the ground, UEFA decided the game would go ahead. A catastrophic decision; UEFA are supposed to be the guardians of the European game, yet they decided that a squad of players caught up in a terror attack, a genuine attempt on their lives, would play a game of football. Counselling, checks for post-traumatic stress, concern for the mental wellbeing of the players they oversee, were shelved for a desire to see a game played. It was only in the aftermath of the game that first-hand accounts came to the fore of exactly what mental anguish the Dortmund players were under. Nuri Sahin gave an emotional interview to Viasat Sport where he vividly says he “will never forget Schmelzer’s face” as the attack commenced—the same Schmeltzer who was replaced at half time. Was Marcel Schmelzer in a fit state to play? Not according to the player who sat next to him when the bombs detonated some 28 hours earlier. What became evident is that in 24 hours football had witnessed the very worst of the modern world as well as the best things that make us all human. 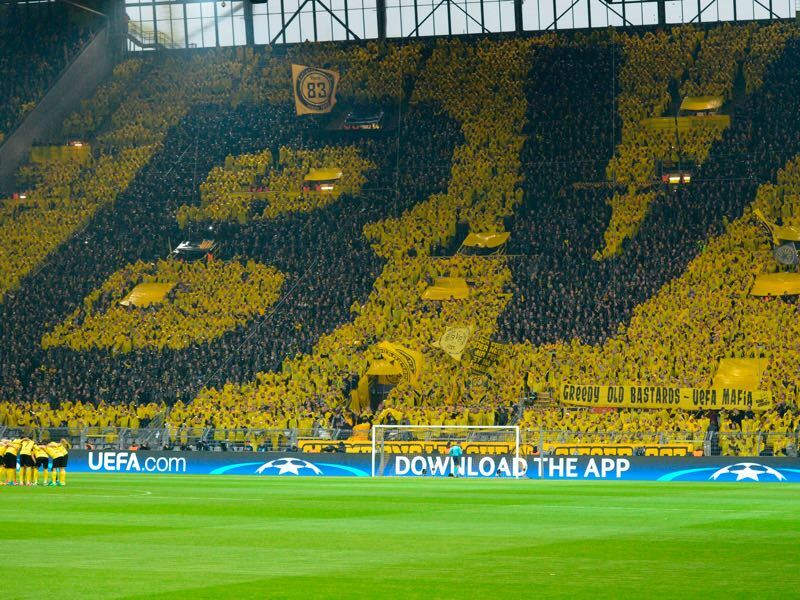 Bound by a demand from UEFA that they play, the staff at Borussia Dortmund worked all night to ensure that the returning fans would be safe and that they had a visual message of support for their players. A wonderful tifo was unveiled that lasted the entire game. Over breakfast, Dortmund fans posed with their Monaco guests, the strangers they had invited into their homes. All had been affected by a terror incident but it was an incident that they had faced together. Nationality, race, religion had no border—it was football fans looking out for football fans. The second leg of this fixture will take place on April 19, seven days after tonight’s leg. In those seven days, it will become clearer just what Borussia Dortmund had been caught up in on Tuesday night. It should also become clearer why the very guardians of the game, those in charge of players’ safety, decided that the fixture must be played so soon after what had been a life-altering event for those directly caught up in it.